When it comes to laser resurfacing, there’s a lot of different terminology out there! Ablative and non-ablative are two different types of resurfacing, but what do those terms actually mean? And more importantly, is one type better than the other? If you look at what the word “ablate” means, you’ll find it means “to destroy or remove” something. In the case of class IV medical lasers, that “something” is your skin. Specifically, ablative resurfacing removes–either in part or in whole–layers of skin. This helps stimulate your body to make new, fresh, healthy and younger looking skin with improved texture and tone. Less aggressive treatments may just injure the outer layer, or epidermis, while more aggressive resurfacing can reach deeper into the second layer of skin known as the dermis. The epidermis is where many surface flaws can be seen: sun damage, finer lines, age spots will all fade with this treatment. The dermis is where collagen and elastin live which give your skin its firmness and tightness. Many treatments will combine these two levels of injury together, really giving you a spectacular result! Its a fantastic way to precisely create an “injury” in the skin that forces your body to repair and heal itself, but you will need some downtime to allow for this process. This may mean a few days away from work and regular activities. 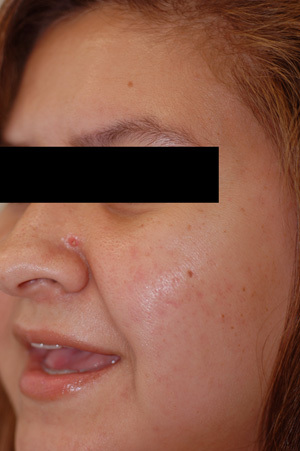 Ablative laser resurfacing is used at Celibre Medical to treat many skin problems such as wrinkling and laxity, unwanted traumatic or surgical scars as well as acne scarring. So this leads us to non-ablative laser resurfacing. 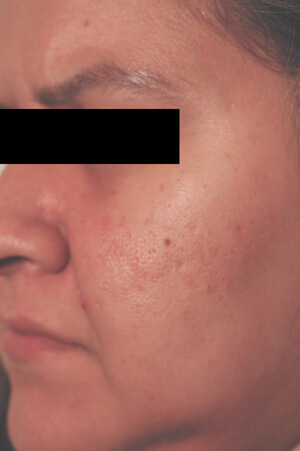 As you can guess, these lasers are designed to injure the skin’s layers in a way that doesn’t “destroy or remove” them. Generally, these devices will do this by heating the skin. While this may mean less complications and not as much (or any!) downtime after the procedure, you may find that the results are much less dramatic than ablative resurfacing. Oftentimes, a series of these types of treatments will be necessary. By discussing your life and your overall goals for your skin, we can help you decide which type of laser resurfacing is right for you. It isn’t that one is better than the other, they are just different ways of achieving the same result: more beautiful, younger and healthier looking skin!